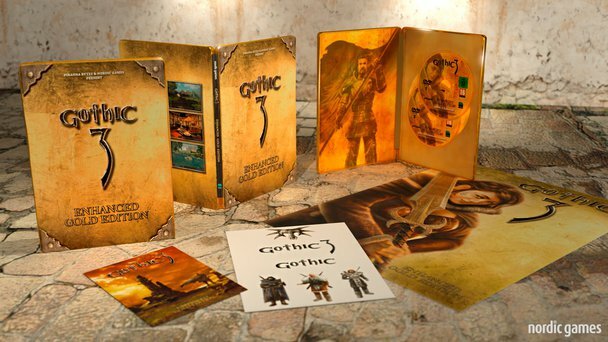 On this site you will find every available piece of information about the Gothic series created by the german companies Piranha Bytes and Spellbound. 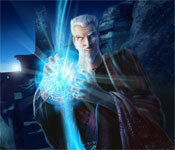 World of Gothic (WoG) consists of different zones, each of them representing a main topic. You can enter each zone by using the navigation bar on top of this site. The Gothic 3 Community Story Project has the goal to bring the story in the game on a much higher level. The group of fans involved in the project wants Gothic 3 to become the game it should be: a worthy successor of Gothic 1 and 2. The CSP Team recently announed their Advent calendar. From the 1th until the 24th of december, you will receive a small impression of the coming Mod every day. The Advent Calendar can be viewed on the CSP website. "If you do something for the third time, it becomes a tradition. So, let us establish a tradition today by announcing the third CSP Advent calendar! Each day between the 1st and the 24th of December, you will be given a small impression of our Mod, like a screenshot, a story or a video. We hope to sweeten your waiting time for our project as well as for Christmas and wish you a merry Advent season!" Joey1990 is one of our most active G3-mod makers, and well known for his Gothic 3 and Forsaken Gods Content mods. Now he has once again delivered an impressive piece of work: The G3-Orc Mod, released in its latest version 2.1. His new mod adapts the orcs in Gothic 3 to the orcs in Gothic 2, by changing the optics and the equipment. During the creation of the mod he tried to stay true to the Gothic style. The models of the G3-orcs got changed as much as was possible, by removing certain parts and adding other/old ones. For example, the orcs now wear the old shoulder plates and their «usual» body hair. Also some of the old orc weapons are introduced. They were adapted for Gothic 3 by changing the models and textures. As a result, they do no longer appear so angular and rough around the edges. In addition, the sounds that the orcs make in Gothic 2 can now also be heard in Gothic 3. For all those of you who always wanted the old type of orcs in Gothic 3, this mod is a must-have! During the last months The Community Patch Team (Mad Vulture Games) has been working on a patch for Gothic 3, which is now finished. The patch with the description "Gothic 3 Enhanced Edition 1.75" is available for download. 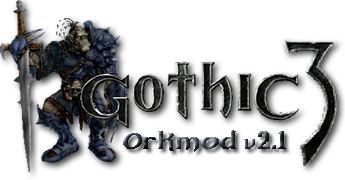 It can be installed on every Gothic 3 version, is available for each language and contains all previous patches. Compared to the previous patch (1.74) CP 1.75 offers widescreen support for the menues, new graphics options (like color grading or FXAA) and decreasing of stuttering by using a shader cache. In addition to this the patch includes a ModKit. Using that ModKIt there are possibilities to change or create new game contents in limited ways. There were also more possibilities added for modders. A Gothic 3 Enhanced Gold Edition that includes "Gothic 3 and Gothic 3 Forsaken Gods in extensively improved editions", as well as a Gothic Complete Collection that includes every Gothic game and expansion to date. The two new editions will be published on 2 April 2012. Ever since it became clear that Piranha bytes got the rights to the Gothic franchise back, the game developer has not made any statement suggesting that they will make another Gothic. This silence has been interpretated by some fans as a lack of enthusiasm from Piranha bytes for making another Gothic game. GameBanshee has now published an interview with Björn Pankratz from Piranha Bytes. The main topic is Risen 2 of course. But Björn also got a few questions about the future of Gothic. GB: You've stated previously that once Risen 2 is finished, you'll be in a position to return to the Gothic franchise. Can you elaborate on that? Does the acquisition of JoWooD by Nordic Games impact when the Gothic franchise will open up to you again? BP: The Gothic brand still belongs to us, so we are free to develop another edition. There is no new Gothic game planned at the moment though. GB: Are you confident that there will be another Piranha Bytes-developed Gothic title? And if so, what does that mean for the future of the Risen franchise? BP: What the future brings will be decided one project at a time. This probabaly means that a serious internal discussion on a Gothic sequel will not be started before Risen 2 has been completed and its success evaluated. As the nameless hero it is your task to reconcile the warring parties and bring peace to the land Myrtana. The open world you can explore in any fashion you see fit. The fighting system has been revised and the main story and many sidequests are sure to keep you occupied for hours. This is the Enhanced Edition, which fixes many major bugs, improves the overall gameplay, and even includes some improved graphics and effects. The G3 Forsaken Gods Enhanced Edition was made possible by a great effort of the G3 Community Patch Team. On gog.com you can get it DRM-Free. Shortly before Christmas the Community Patch Team (CPT), also known as "Mad Vulture Games" has released their last patch for the Enhanced Edition of Forsaken Gods. The patch has been produced in collaboration with Nordic Games and solves a number of bugs, including a few important ones, which were present in the Enhanced Edition. The patch has not been released until today, because the team has enjoyed a well-deserved break after their work on the Enhanced Edition. The perseverance of the team is truly remarkable! "Like said, we have been thinking about this. But no final decision has been made. We will once again take a small break, it's Christmas after all." In our forum you can read the complete changelog.